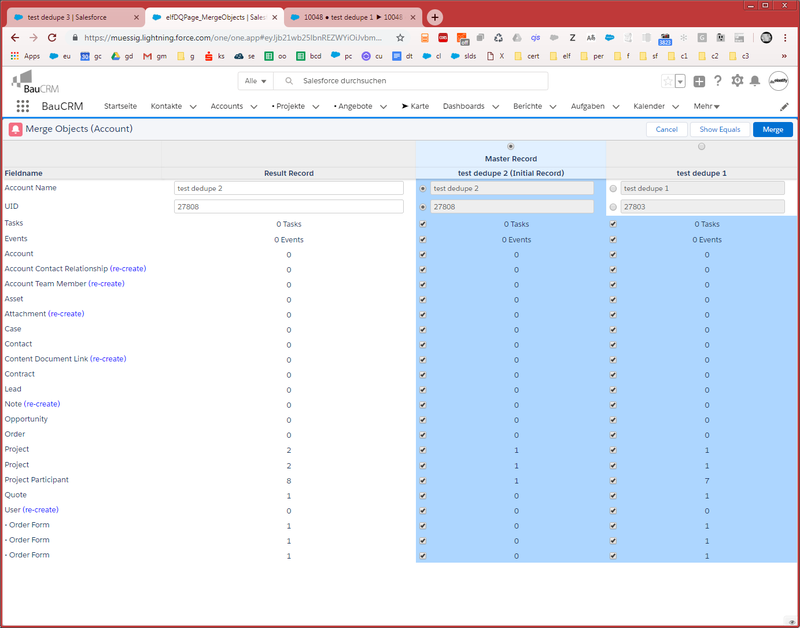 We wrote a custom deduplication and merge tool allowing us to overcome the Salesforce limitation only to get the deduplication UI only for a few objects. Our tool needs to work on ANY SObject (custom + standard). Except for some Salesforce Bugs new in Winter '19, it just works fine most of the time. We also handle the re-assignment of child-objects as part of the merge process. What we really would want to see instead is the Related List Label (including it's translated version done at translation workbench). 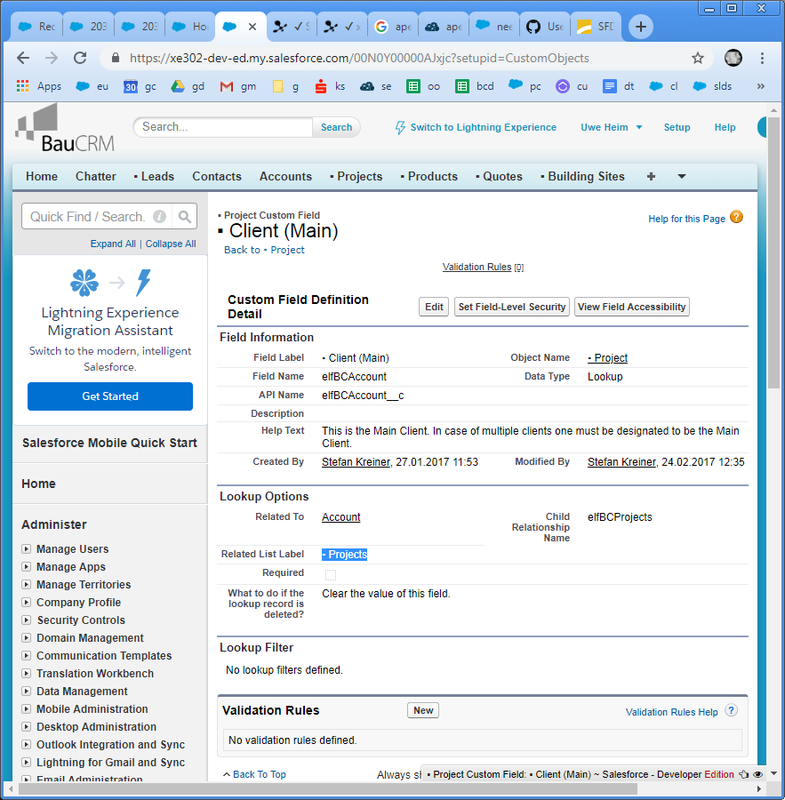 This indicates, that it is likely still not possible to get the Related List Label via APEX. I just want to confirm here in this community, if we really still can't get that Label or if there might be a hack or a trick to get it now. Oh, this is a nasty hack, but I'm using something similar right now to get listview info. You can use the metadata api to get the field describes. There's a relationshipLabel value in the describe results. The problem, of course, is that the user needs API access to make this work at runtime...and that just isn't good. To get around the access issue, we're using a batch job (which runs as the system user) to grab all the describe info we need, and writing it to custom object records that we reference like a dictionary table in our code. Probably would have used Custom Settings if I had it to do over again, but for now, it works well-enough. Like I said -- nasty, but problem solved. * @param       listviewid - Id of ListView whose metadata is needed. Not the answer you're looking for? Browse other questions tagged apex lookup master-detail label childrelationship or ask your own question. Cannot pass field values through to related list?